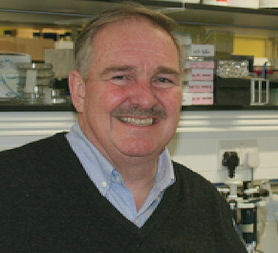 Professor David Nutt has been sacked from his job as chief advisor to the Westminster government on drugs policy; a move prompted by his disagreement with the reasons being given for the reclassification of cannabis from Class C to Class B.
I cannot have public confusion between scientific advice and policy and have therefore lost confidence in your ability to advise me as Chair of the ACMD [Advisory Council on the Misuse of Drugs]. So simple, isn't it? If ever there's any conflict between scientific evidence and government policy, Labour want the public to be fed their version. Worse, they don't even want to be told anything that conflicts with their own view. Who said Peter Hain was only member of the cabinet who would openly rubbish the findings of experts who Labour ministers themselves appointed to look objectively at the facts? Another rail post ... you wait ages then two come along at once! 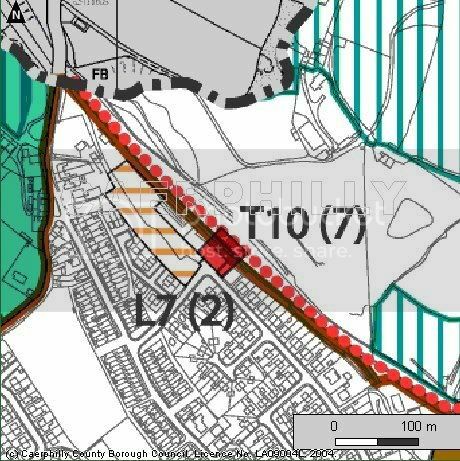 There was a story in the South Wales Echo today about Caerffili Council granting planning permission for a housing development in Nelson on disused railway land alongside the line from Ystrad Mynach to the large open-cast coal mine at Ffos y Frân. Reading this story, the decision making process seems to have descended into some sort of farce. Apparently the councillors responsible disagreed with the decision, but then voted it through when it was re-presented. One of the councillors apparently could take no part in the vote because she was involved in trying to safeguard the site as a park-and-ride station in the new Local Development Plan. The news is particularly bizarre when set against the evidence given by Ieuan Wyn Jones last week about reopening rail routes. He said that he wanted to do that whenever it was possible, but only had limited resources, and so had to prioritize them. The two current priorities are to reopen the line between Llangefni and Amlwch on Ynys Môn, and the line between Aberdare and Hirwaun. That's very positive news. Thanks go to Dafydd Trystan for drawing attention to it on his blog, he obviously knows his way around Senedd Committees better than I do. I'd have thought that opening this line to passengers would be every bit as important, or at least a close third. The line is already operational for coal (and would also be used for waste if the proposed incinerator is built) so it wouldn't require very much work to upgrade it to passenger standards. As well as at Nelson, there could be new stations at Trelewis and Bedlinog ... and as a result people would have a quick and easy journey into Cardiff, thus extending employment opportunities. Network Rail is not really at fault here. Apparently they offered to sell the land to Caerffili Council for the relatively small sum of £35,000, but they declined. So they seem to have sold it to a housing developer instead. From the point of view of housing, Wales needs more houses and the best place to build them is on brownfield sites. But planning is all about co-ordinating different needs. Housing can be built on many sites, but the station obviously needs to be on the line. So something seems to have gone very wrong in this case. The transport section of the current Unitary Development Plan is here, and it clearly states (4.45 T10(7), p78) and shows that land at Nelson will be safeguarded for a new station. I don't know what is best in this case. Perhaps it is possible to reverse the decision, though Caerffili doesn't seem to want to. Their spokesman seemed more concerned to say that the decision was made legally. That might be true, although it seems very unlikely to me, since the UDP is in force until 2011. On the other hand, perhaps there is another site nearby that would be just as good, or even better, as a new park-and-ride station for Nelson. But if there is, nobody seems to be saying so. So action needs to be taken urgently. If this is the only suitable site for a park-and-ride in Nelson we need to reverse the decision if it can be reversed, or buy the developer off if it can't. Obviously that will cost money, but better that than not having a station at all, and better to do it now rather than before any construction work starts. However if there is another suitable location, it needs to be identified and safeguarded from development. Caerffili are a Plaid-led council. It would be hugely embarrassing for us to get this wrong. Therefore the council needs to make a clear statement about what it intends to do. A couple of things to do with the Great Western rail link between south Wales and London caught my eye. The first is Vaughan Roderick's post today on the electrification of the line. In short, there have been some persistent rumours that the Tories will scrap the electrification when they are in power at Westminster, as part of their programme of spending cuts, and in an attempt to reduce the levels of public borrowing. And even that Labour, by approving the scheme, were more concerned about setting a trap for the Tories than actually delivering the electrification. His point was that this line must go through at least a dozen marginal constituencies that the Tories would hope to gain, so the Tories would be fools to scrap it. It's a fair point. However when the scheme was announced, Lord Adonis did make it particularly clear that this would be a self-financing scheme ... that the investment cost would be recouped within 40 years because electric trains are cheaper to maintain than diesels. So I don't think so much depends on today's report from Network Rail. It simply needs to confirm that these sums do indeed add up. What then needs to be nailed down is the mechanism to support that borrowing. If Network Rail simply borrows through the government, it will go down on the books as public borrowing, so the danger is that this electrification could be steamrollered by a Tory party that is so focused on reducing borrowing for headline reasons that it fails to see the detail, and merits, of this particular scheme. £1.1bn is too juicy a cherry to ignore if they end up struggling to meet a self-imposed target for borrowing reductions. The second story that crossed my eye was a debate in the Commons yesterday on the redoubling of the short, 21km stretch of line between Kemble and Swindon. The Hansard record is here. I congratulate the hon. Gentleman on obtaining time for this important debate. He realises that we in Plaid Cymru have no designs on Swindon, but the impact on south Wales would be severe if there were no redoubling. 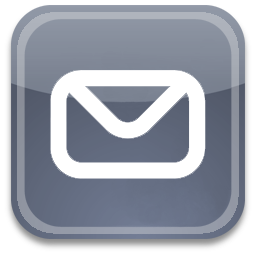 I remind him that an emergency such as a crash or a tunnel collapse would also have a severe impact. More to the point, redoubling would mean an hourly service for 17 hours a day between London and south Wales, which would be important economically. What he is saying has broad acceptance and goes much wider than the Swindon area. The gist of the story is that redoubling will cost between £50 and £60m. £20m is available from the Regional Funding Allocation, and at least £20m (perhaps £30m) would be available if the money saved by scrapping the nearby Westbury bypass was vired (i.e. transferred) to this scheme instead. But it still leaves a shortfall of something like £15m. The government minister who answered the debate was Chris Mole. His line seemed to be that yes, it's a good idea ... but the government have no idea where the money is going to come from. The problem is that the £20m RFA can't be carried over, and will just go back to the Treasury if it is unspent, and similarly the money that was allocated for the Westbury bypass. So it's a question of "use it or lose it". A decision needs to be made quickly. Both stories highlight just how inadequate funding arrangements for infrastructure in the UK are. Both these schemes are very important for both SW England and Wales, but it is only central government that can release the funding. Even if the local economic case is overwhelming, such schemes can only go ahead at the "grace" of central government. So for the sake of £15m or so of funding (the interested parties, including of course the Welsh Government, have commissioned a detailed study from Network Rail, which is due out in December) we are in danger of losing a £50m or so project. With good will on all sides perhaps the money can be scraped together from various budgets. But that remaining £15m could probably be raised very easily if the Welsh Government, or the south west of England were allowed to borrow. It's simplistic, but nonetheless true, that there is "good" and "bad" borrowing. Good borrowing pays for itself in the longer term, and should be used for things like infrastructure improvements. In this situation, the Welsh Government does at least have a large budget, and so could probably afford to bridge this funding gap out of the block grant. But it is madhouse economics because there isn't any mechanism by which we could recoup the investment. We would just be giving our money to that part of England because the UK government wasn't prepared to do it instead. The sad thing is that we might end up having to. But perhaps there is one way out of the impasse, which neatly draws the two strands of this story together. When the electrification work is done there is bound to be disruption, and that will especially be true when the Severn Tunnel is electrified. An extra £15m is peanuts compared with the £1.1bn cost of electrification and could easily be included in it. It could be justified as work necessary to minimize disruption to services, and I'd be very surprised if there weren't other items of a similar nature in there already. It just needs joined-up thinking. The full YouGov survey results are here. Mwynhewch. I noticed yesterday that Jonathan Morgan had tweeted about the decision to phase out Cefn Onn School, calling it "a sad day for families in Cardiff North". Fair enough, I thought. Every school is more than just a building. Each school has its own ethos—spirit even—which is built particularly by the teaching staff, but also by parents and governors, not to mention the children themselves. So it is always sad when a school closes. I would not have commented on that, but he has gone very much further than that in his blog today. In it he talks about "closing a school which serves an area with few community facilities" and the closure having "the potential to fragment the community" ... all prefixed by the highly emotive word "anger". Well let's look at the issue in more detail. Cefn Onn is closing because of the number of surplus spaces in Cardiff schools. There is more than enough space in the other nearby schools for those parents who might have intended to send their children to Cefn Onn. Jonathan himself describes the four surrounding schools as "excellent". There will also be transitional arrangements for children already at Cefn Onn. Only new admissions will stop, and it will be a few more years yet before the school closes altogether. So, all in all, Cardiff appear to have gone out of their way to make the closure as seamless as possible. And Jane Hutt, as Minister for Education in the Welsh Government, agrees. So much for the story as presented by Jonathan. Now let's include what he hasn't said. This is a picture of the Cefn Onn site (click it for a larger version). 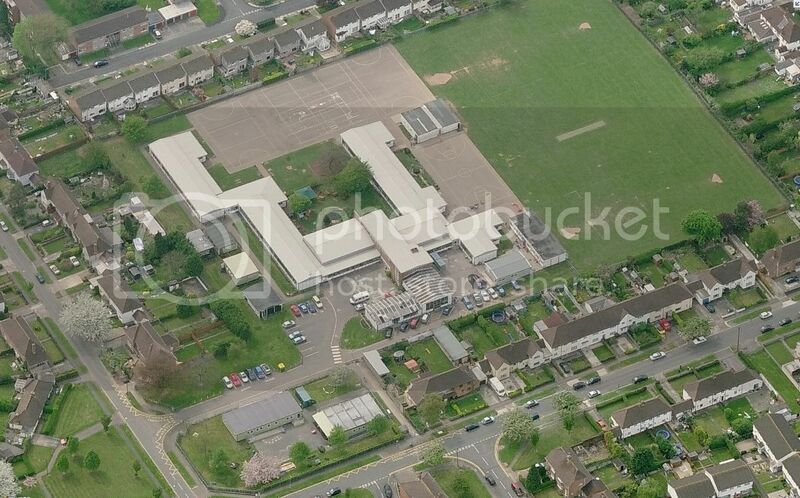 What the picture doesn't tell us is that the buildings are shared between Cefn Onn School and Ysgol Y Wern. As is the case nearly everywhere else in Cardiff, the large numbers of surplus spaces are in English-medium schools, while at the same time there is immense pressure on space in Welsh-medium schools. The demand for WM education has increased year on year, and the way this was handled here was for more and more temporary classrooms to be put up in the grounds. (Though as we can see from the picture, the permanent buildings on the site are in a pretty sad state, so the standard of accommodation might in fact be better ... but that's another issue.) The reason admissions to Cefn Onn are being phased out is to enable Ysgol Y Wern to expand to help meet the growing demand for WM places in the area. So how on earth does that equate with Jonathan's claim that this decision will, "close a school which serves an area with few community facilities"? It doesn't. The building isn't being closed. There will still be a school on the site, and its facilities will be every bit as available to the local community as they were before. That's one ridiculous claim easily dealt with. But in what light does this put his claims about "fragmenting the community"? Where does he think the growing number of parents who want their children to have a WM education come from? They are, of course, gernerally parents from that very same local community. This decision makes it easier for parents in the area to exercise a choice about what sort of education they want their children to have. It simply evens up the playing field so that four school sites are not embarrassed by having so much surplus space while another is being squeezed for space. And, should anyone think this is a unique case, the overcrowding situation is almost exactly the same just a couple of miles south. 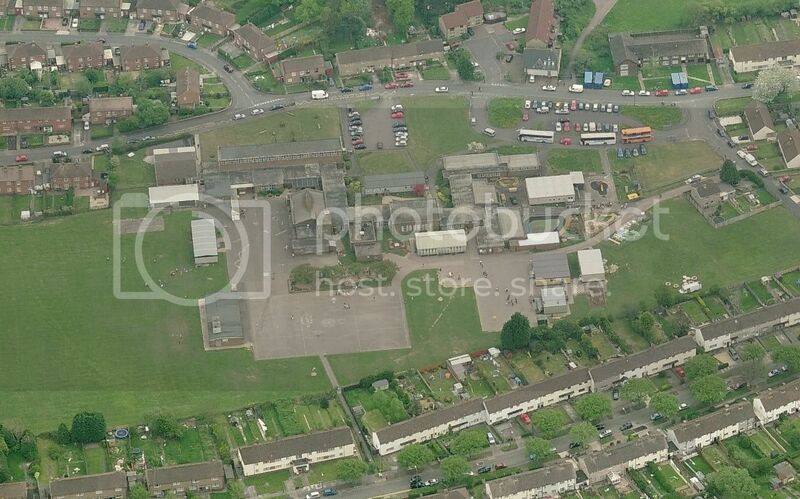 Here is a picture of the site currently shared by Ysgol Melin Gruffudd and Eglwys Wen Primary. Count the number of temporary classrooms. I imagine Jonathan will reply by saying, "How can you question my attitude on this? I speak Welsh myself." True. But people who speak Welsh can be just as unfair, provocative, one-sided and selective with the truth as people who speak any other language. He was talking about the Government of Wales Act 2006 and of its architect, Peter Hain. Now I have made no secret of the fact that I question Peter Hain's sincerity about his commitment to devolution. I think he got the Act through by telling MPs it meant one thing and by telling AMs that it meant something else. The result was an LCO process that was inadequately defined, so that its practicalities had to be worked out "on the fly". Nonetheless, given that Labour's Welsh MPs and AMs were so divided at the time, the fact that any Act was passed at all is somewhat of an achievement. Whatever else Peter Hain is, he is a consummate political operator ... and guile sometimes has a part to play in getting results. ... as a passionate devolutionist ... presents the case for the incremental devolution of powers to the Assembly and argues the current devolution settlement is working well. The process enabling the Assembly to take on more and more law making powers delivers much more than under the old system, and is being continually reviewed and improved. He warns against a holding a referendum on full law making powers prematurely. Perhaps it would be cruel for me to say that the reason why the LCO process has had to be "continually reviewed and improved" is because it was a dog's breakfast from the beginning ... and that if it's capable of being moved in one direction, it is equally possible for the Tories to "review and improve" the process so that it suits them instead. So I said something a little gentler in my comment. It is inconceivable that Peter Hain doesn't have a very good idea of what Sir Emyr's report will recommend. Nor does it take much to realize that Peter Hain doesn't like what it will recommend, and that it will recommend it so decisively ... which is obviously why he wants to pre-empt the issue by speaking out now. He claims that there is no consensus about primary lawmaking powers in Wales. But this is not about "consensus". There is consensus about very few things in politics. On most issues there is considerable divergence of opinion, and that is healthy and right in a democracy. Many people in Wales are still against devolution and always will be. Many people do not want the status quo to change. But many, many more people do. To me, it is quite clear which way we will vote when we get the opportunity to do so ... the only question was when Labour politicians would let us have that vote. Nobody is claiming that the Yes vote in the referendum is going to be 95%. We know from the last poll on the issue that 52% were in favour to 39% against with don't knows at 9%. And should 52% not seem like a lot, it might be worth reminding him that he last held his seat in Neath with, as it so happens, 52% of the vote. 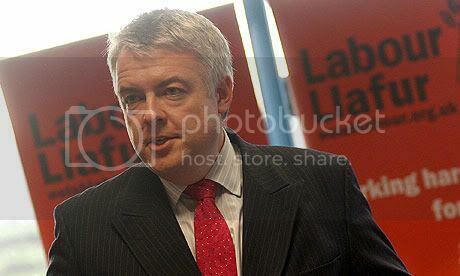 However Sir Emyr said on Sunday that the latest poll conducted over the summer shows "a clear trend" in public opinion, which can only mean that the margin is continuing to increase. So it is rather touching that Peter Hain should express such concern that the referendum might just, conceivably, be lost. And perhaps he really does want to keep putting off the referendum for that reason. In a democracy it's possible to loose any vote, just as it's possible for Labour to win the Westminster election in May. Possible, yes ... but not at all likely. Peter, it's not your job to do our worrying for us. We know that you wanted your Act to last for a generation, but very few things in politics are that long-lasting. Stop trying to block the way. Have the good grace to accept the praise you deserve for the GoWA 2006 ... but also accept that most people in Wales are now ready for things to move on. I was very pleasantly surprised, not least because of what he said at the end, when he made it clear that the referendum would not give the Assembly "full" lawmaking powers. The options are either to retain the current powers or to move towards full law making powers, which would require a referendum. To use the term "full" implies that voting "Yes" in the referendum would give the Assembly the ability to legislate on any matter it chooses, but that is very far from being the case. In the first instance it would only give the Assembly the power to legislate in the twenty areas for which it already has devolved administrative responsibility, but (and more importantly) even within those twenty areas there is a huge raft of exceptions and exclusions set out in Schedule 7 of the GoWA 2006. In my opinion it would be better to use the more accurate term "primary" law making powers (within limits already agreed with Westminster) rather than "full" law making powers. So although Cymru Yfory has rightly pointed to the AWC using language to imply that the status quo is delivering more than it actually does, it also seems to be using language to imply that what we will get if we vote "Yes" in the referendum is more far reaching than it actually is. I'm delighted that the AWC has now taken this on board (although I've just checked their website, and the reference to "full" lawmaking powers is still there). However I did think it was a bit rich for Sir Emyr to pick Felicity Evans up for using the term, since most journalists and other commentators would naturally use the same terminology the AWC had itself used up until now. As to the substance of the report, I'm now very optimistic about it. Sir Emyr said we would be surprised by the extent of the recommendations and decisiveness of what it has to say. I don't think I will be. To me it was always obvious that any group of people who took time to research the issues in detail was only ever likely to come to one conclusion. After all, they are largely going over the same ground that was covered by the Richard Commission before them. In terms of good governance, it is beyond any reasonable argument that the National Assembly should be able to legislate in those areas for which it already has executive responsibility. The only questions were whether the people of Wales understood the issues clearly enough to make a decision on it, and whether the politicians were willing to let us vote on it. margin in favour is continuing to increase. • On the second, the only way its recommendations can be "decisive"
So I have no doubt what the report's recommendations will be ... but it will be up to the politicians (and particularly Labour politicians) to decide whether they accept them or not. They will have six months to get the referendum through the Assembly and both Houses of Parliament. They can't afford to take any risks by leaving it until after the general election. At present things are entirely in Labour's own hands, they would be prize fools to leave any part of the process for the Tories to vote through. Once a date has been set—any time in Autumn 2010 or Spring 2011 will be perfect—it would be almost impossible for an incoming Tory government to stop the referendum taking place. In one way Uruguay is quite similar to Wales. It has a population of 3.4m. But in another way it has not only outstripped us, but the world. 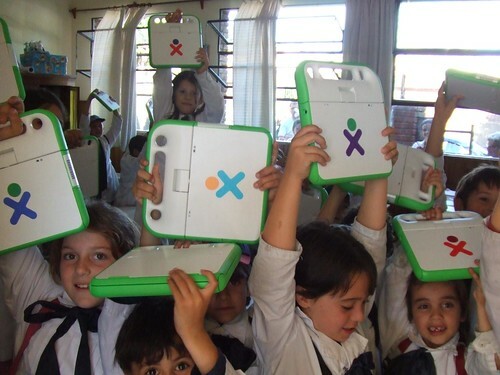 It has become the first country to make sure that every child in primary school has a computer. We in Plaid Cymru had similar plans for Wales, so it is a little galling to see a poorer country get the better of us. One of our commitments in the last Assembly election was that every 11 year old should have a laptop. Unfortunately we weren't able to get Labour to agree to that, so it didn't make it into the One Wales Agreement. We got a pilot scheme instead. I don't quite know what a pilot scheme would tell us that we don't already know, because this report demonstrated that it was hugely successful when tried in Scotland, but it's a step in the right direction. One of the things to note from the story is how inexpensive it was. The cost in Uruguay was only 5% of their education budget. They have 362,000 primary school children, we have about 240,000. In any one school year we have fewer than 40,000 children, so what Plaid proposed was rather more modest and therefore even more affordable. And of course the cost of the computers would be at least partially offset by a reduction in the amount of traditional printed books and other school materials, as much of this would simply be downloaded onto the computers. I'm not saying that we should necessarily follow the One Laptop per Child model in terms of equipment. I do think it is a very good model, but there are other ways of doing the same thing. The principle is what matters: to make sure that every child benefits from using digital technology. And yes, lots of children in Wales do have their own computers or access to a computer at home, but the crucial thing is to be sure that every child benefits. Children of poorer parents need to have exactly the same advantages as children of those who are better off, since poverty is still one of the major factors that affect educational achievement. Well, the same commitment should be in our 2011 manifesto. So if you want Wales to score a late equalizer against Uruguay, you know who to vote for. I've just caught up with today's Welsh Grand Committee debate on the Welsh Language LCO. Of course it was primarily a backslapping session before the LCO is finally approved by Westminster. As Peter Hain made quite clear towards the end, there's not going to be any more opportunity for the WASC to debate it or change its form when it finally sees the light of day. I trust there will be no nasty surprises. Nobody expects there to be. The main impression I was left with was the almost complete consensus from all parties at Westminster on the need for further legislation to build upon the 1993 Act, and how fair and reasonable everyone thought the end result had been. Now of course I would demur, because I think the more fundamental point is that it should be entirely up to the Assembly to decide what legislation it wants to make in relation to Welsh, in just the same way as the Scottish Government has always been able to enact language legislation for Scotland, both Gaelic and Scots. But nonetheless, as the GoWA 2006 allows Westminster to do whatever it chooses to control the LCO process, the final LCO that we are now about to get is remarkable in that it reflects the unity and consensus between each of the four parties. It is, as Wayne David said in closing, only "a modest step" and no-one in their right mind would imagine that things won't be revisited in a few more years, but it is hardly unimportant that this step builds on the all-party consensus that has existed for some time. Whatever some rogue individuals in some parties might think (or even say) they most emphatically do not represent the view of the parties as a whole, not least because no party wants to be seen as anti-Welsh. Some individuals can't help themselves, though, and David TC Davies had displayed what Paul Flynn gently called "another one of his junior moments". Paul Flynn's contribution was excellent, and even Alun Michael managed to come across as reasonable. In fact I will give him credit for saying the most sensible thing of the day. He picked up on evidence given by the Catalan government in which they said that a framework of language law was indispensable, but that the framework should be used to strengthen the consensus that was already there, not to undermine it. Those are wise words, and I hope the Measure we eventually enact in the Senedd will do exactly that. There was however, a rather sinister undercurrent, which had no direct relevance to this LCO, but will definitely be relevant when the Tories get into power. Cheryl Gillan started by trying to get the debate postponed, on the grounds that she wanted to see the final LCO first. 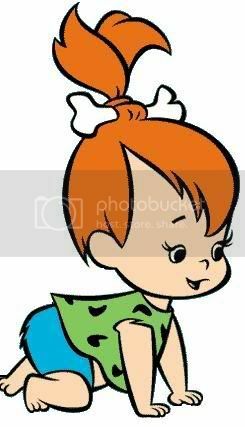 That was a bit silly, because today's debate was about the WASC's report, and she didn't get her way on that. But she kept on that tack, and later in the debate came up with the extraordinary idea that Westminster should see the actual content of the Measure the Assembly would enact if it gained the competence to do so. Everybody laughed her down for this, Peter Hain and Lembit Öpik in particular. Peter Hain said it showed the anti-devolution stance of the Tories and Lembit Öpik said it would roll back one of the fundamental tenets of devolution. Now, in normal circumstances, that pair usually find that they are objects of ridicule, but on this point they were quite right. Yet Cheryl Gillan wasn't a woman in any mood the see sense. She was incredulous and thought that she was being "perfectly reasonable" in wanting to have "all the information". She simply couldn't understand why anybody would not insist on getting it before making a decision. She is making it as clear as possible that she, if her party was in government, would insist that Westminster not only has the pre-legislative scrutiny it now has, but legislative scrutiny of the Measure itself. As I've said before, it doesn't matter whether her interpretation is right or wrong, because if she wants it to be done that way, she would have the power as Secretary of State to insist on it. So to Labour in particular I would say, Don't get carried away with the backslapping, and especially don't let yourselves think that the LCO process works ... it only works for you because you are in control of the process. When the Tories are in charge they will make sure it works in the way they want it to work. In Betsan Powys' blog today was some of the best news I've heard for a while. YouGov have set up a panel for Wales, and look likely to conduct regular Welsh polls. Up until now there has been a dearth of information about public opinion in Wales, and voting intentions in particular. It is virtually impossible to glean information about Wales from the usual UK-wide polls, since even those that have some regional breakdown usually include Wales with the Midlands or South West England. Over the past few years the BBC have done very well by commissioning an annual poll by ICM which comes out on St Davids Day (and also did one after the 2007 election to gauge opinion on the various coalition options). I certainly hope that this continues, as the continuity is a good way of establishing long term trends. Other than that there has only been ongoing research on attitudes to devolution, and recently the polls commissioned by the All Wales Convention. Plaid have occasionally added questions to Beaufort's quarterly Omnibus Survey, but the accuracy has sometimes not been that good. What we haven't had is any commitment to getting a quick response to day-to-day issues in Wales. So this move from YouGov is definitely welcome, and I hope others will follow. The more information we get, the more likely we will be to understand the trends and issues that affect Wales ... and in turn for that understanding to help shape our policies. In all parties. This is one of the strongest signs that Welsh politics has moved from crawling to walking. YouGov's first survey result is due out in a fortnight. That will be closely followed by the AWC's report which will include their final survey, carried out over the summer, on the likely vote in a referendum on primary lawmaking powers. It will be interesting to compare the two. Let me take a shot at the result: I reckon that we will have 59% in favour of a "Yes" vote on primary lawmaking powers with 34% against and 7% undecided ... a margin of 25%. I would be very surprised if the margin in favour was less than 20%. The story in Scotland is that the LibDems are reconsidering their position on an independence referendum. The probability of having a referendum on Scottish independence increased yesterday when it emerged that the Liberal Democrats plan to review their policy on the issue in a forthcoming conference. 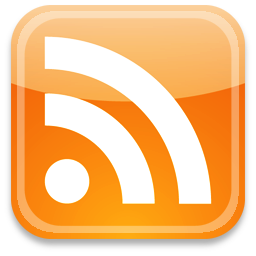 Currently, the Scottish Liberal Democrats are officially opposed to having a referendum, with leader Tavish Scott insisting that one should not be held in a recession. In February, he said that he would not support a referendum, and late last year his party put down a motion in parliament opposing one. However, Mr Scott has been under pressure from senior figures south of the Border including Vince Cable, a former Glasgow councillor, to support a referendum. There has also been pressure within Scotland, including from Scottish MEP George Lyon, demanding that the party changes direction. The BBC's version is here. I won't say anything about the LibDems' capacity to change their minds, because I think any party is likely to change its mind if it sees the chance to gain something they want from it. So this is how I read the situation. When the SNP set up their National Conversation on Independence, the three Unionist parties responded by setting up the Calman Commission. As I saw it, the game plan was for the three parties to agree a common position on a third option to put to the Scottish people in the referendum. In broad terms, if offered a three-way choice between independence, the status quo and more powers there would be a far higher chance of people wanting to take a smaller step rather than the big one. At least that's what the opinion polls have shown when a "more powers" option has been added. But trying to define exactly what "more powers" means is rather like asking how long is a piece of string. The job of the Calman Commission was to cut that piece of string to an exact length. At the time of their interim report, it looked as if they were coming up with a comprehensive package to be put to the people of Scotland in a referendum. But then something seemed to go wrong, and the final report in fact represented a very minimal set of proposals, as I said here. The three Unionist parties have rather different attitudes towards further devolution. Labour don't want it to go any further than it has, so they will now always opt for as little as possible with as much delay as possible (think Peter Hain in a kilt). The Tories however, are slightly more relaxed. Obviously they want Scotland to remain part of the Union, but they are quite open to the idea of the Scots having a little more fiscal autonomy. Both parties' attitudes of course have plenty to do with their own electoral advantage. Labour need to hold on to their Scottish MPs because they need all the MPs they can get from there (and indeed from Wales) to help them push legislation onto the English (remember Academies and Foundation Hospitals) even though most English MPs were opposed to it. For the Tories, I think their position is that if Scotland has greater responsibility for its own financial affairs, they reckon it is more likely that the Scots will make economic and fiscal policy decisions that are (small c) conservative, because for the past ten years the Scottish Government could only spend what the Treasury gave it and so didn't need to make tough decisions about the other side of the equation. But for the LibDems things are rather different. It's very easy to laugh at them because of their indecisiveness and reticence to take a part in government when offered a chance to do so. Yes, it's so much easier to stick to your ideals if you shy away taking a share of responsibility, but the fact is that the LibDems do have some very good ideals. First and foremost a steadfast commitment to a fair voting system (STV) and second that both Scotland and Wales should have full fiscal autonomy within a federal rather than centralized United Kingdom. Measured against those principles, it is the LibDems, rather than the other two Unionist parties, who have most reason to feel let down by the final version of the Calman Report. In the end was Labour that got what they wanted out of it: as little change to the status quo as possible. So the question now becomes how the LibDems can make up for that. If they show a bit of backbone, they could pull off quite a coup. The SNP are going to introduce a referendum bill next year in the Scottish Parliament. As things stand at the moment the SNP, the Greens and Margo MacDonald would vote in favour ... and the three Unionist parties would vote it down. But if the LibDems were to vote in favour too, the bill would get through. So what would it take for the LibDems to change their minds and back the bill? They have to agree a proper "Devolution Max" option with the SNP, and the essence of that would be a far greater degree of fiscal autonomy than Calman's 10p of Income Tax and very little else. It would include the ability to vary Income Tax bands and thresholds, employers' and employees' National Insurance, Corporation Tax and the framework for local government finance. All these are comparatively easy to collect on a Scottish basis. It would even include a good element of North Sea revenue, because the bulk of that now comes from ordinary Corporation Tax plus a special Corporation Tax supplement (see the graph in the post I mentioned before). Letting the Scots set and keep the ordinary Corporation Tax in the same way as they would for all other companies in Scotland might be a good half-way compromise between the interests of the UK as a whole and the interests of Scotland. The prize is that if the SNP and the Liberals can agree on this, then it simply won't matter what the other two Unionist parties think. Out of 129 seats in total the SNP have 47, the LibDems 15 and the Greens 2. So with Margo MacDonald they have 65 seats. Just enough. Labour in particular will be mad as hell. Their ploy is going to be to make out that Calman's recommendations are a big enough step to require a vote on them in a referendum. But that seems quite pointless to me. If all four main parties are agreed on them as a minimum, then they can surely be implemented without a referendum. The only reason the recommendations aren't being implemented right now is because Labour in Westminster want to want to drag things out. As little as possible, as late as possible. In fact the only danger I can see is to the SNP itself, and to the cause of Scottish independence in the short term. It's a tactical rather than strategic judgement. There is no chance of getting a two-option, Independence or Status quo, referendum this side of the 2011 election. It is also, I believe, going to be quite difficult to get a two-option referendum after it, because it would need the SNP to get a working majority in Holyrood which would require maybe 45% of the vote. I expect them to do well in 2011, but that would be a huge ask. So that means there must be a three-option referendum. If the "more powers" option is weak, it increases the chance of people voting for independence, and that might persuade some in the SNP to allow the weaker Calman option. But I think it would be a mistake. I suspect that human nature tends always to prefer the middle way in a three way choice. The majority of people will not go into the fine print of the detail between the various "more powers" options. It will only register as "more powers". 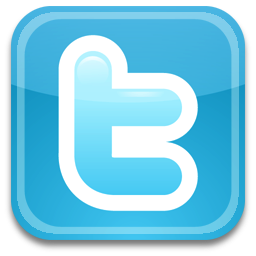 Therefore it in fact makes sense for those powers to be more substantial rather than less substantial. I think it's better to have a large measure of fiscal autonomy in 2010 than to take the risk of ending up with the "hardly anything" that Calman offers. I'm sure that independence will come. But I think that it will be a case of taking a step, liking what you see, and therefore wanting more ... then liking that and wanting more ... and so on. I've never seen any logic in the idea that steps towards independence should be once-in-a-generation events. Our experience in Wales has shown that the first devolution settlement only lasted from 1999 to 2006, and that we are now likely to vote to move on from our current settlement in 2011. It's only Peter Hain who now thinks his 2006 Act will last a generation. So what's wrong with seeing how fiscal autonomy within the UK works for a similar five or seven years? Scottish independence in 2017 seems about right to me. And I think our own independence will only be a few years behind that. Two subjects one should never start an argument about are politics and religion. The way you judge will be the way you are judged ... the measure you give will be the measure you get. 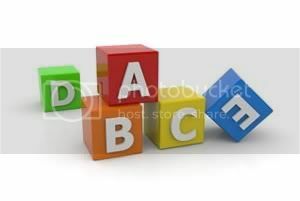 Let's start by translating a post Vaughan Roderick made this morning. That's not too time-consuming now that Google Translate can do most of the spadework. It might even save £250,000 ... but that's a different story. Translation isn't an easy job at the best of times, and it's almost impossible when the words you translate are in some kind of political code. Take what Alun Ffred Jones said on "Good Morning Wales" this morning. He said he was "miffed" that the Wales Office has released information about the content of the language LCO before Assembly members had seen it. How do we reckon "miffed" should be translated? I suggested "furious" to the minister ... and got nothing more than a smile in response. Later someone suggested "****** furious" would be more accurate! The salt in the wound is in fact the Wales Office. Although the Welsh Government insists that the Order enables it to "deliver the One Wales commitments" the truth is that the Assembly has lost an extremely important constitutional battle. When the second Government of Wales Act came into force, members of the Assembly—and in particular the Presiding Officer—argued that Westminster had only a quasi-judicial role in the LCO process. Namely that if the Assembly made an application for powers, and particularly if the application was based on manifesto commitments, it should be approved without enquiring about how the Assembly intended to use the Order. That is, on the whole, what has happened in the House of Lords. But the House of Commons, and in particular the Welsh Affairs Select Committee, has seen things differently. To all intents and purposes, the Committee has acted as a sort of second chamber of the Assembly by setting firm limits on what the Assembly can do. That's annoying to politicians in the Bay ... even in a period where the Governments in Westminster and Cardiff have relatively similar colours. But how are things likely to be after the general election, given that a Conservative majority across Britain would mean a Conservative majority on the Select Committee? It's possible that some politicians will be "****** ****** furious". With whispers increasing that Sir Emyr's Convention is "gung ho" about a referendum, that vote is looking increasingly likely. their key One Wales agreement commitments: all together now - the language commissioner, linguistic rights and an official status for the Welsh language. The revised LCO, and as yet the detail is only in this press release, just scrapes in. But that isn't the point, at least not my point in this post. The UK doesn't have a constitution, so the way things work is decided almost entirely by precedent. As Vaughan has said (along with many others) the GoWA 2006 was not clear or specific about how the LCO process should operate. The more cynical among us would say it was deliberately intended to be like that. That is because there were always two very different views about how it should operate and the Act would never have been passed unless one group (generally Labour AMs) was given to understand it would mean one thing and the other group (generally Labour MPs) was given to understand it would mean something else. It was a classic fudge which resulted in bad law ... bad because any law needs, above anything else, to be unambiguous. In the absence of the GoWA itself being precise, the only way of resolving how the process would operate was to fight it out to see which side would come out on top. Today shows that the MPs have won. Now many people reading this might be very pleased that the MPs have got their way on this particular issue. But, as I said, that's not the point. The precedent that has now been set is that MPs will be able to get their way on any LCO that comes before them. The point that seems still to have escaped the notice of Labour MPs in particular is that it is not only the Wales Office that will be run by the party that gets most seats in the House of Commons as a whole, but that the Welsh Affairs Select Committee will be made up of MPs in numbers that reflect the UK-wide composition of the Commons, rather than the numbers of MPs in Wales. Labour MPs know that even if they have a disastrous result at the General election in May, they will still end up with roughly half of Wales' 40 MPs. But that will not give then half the numbers of seats on the WASC. A Tory majority in the Commons means a Tory majority on the WASC, even if there are not enough Welsh Tory MPs to fill those seats! They'll just fill those seats with MPs that haven't been elected by people in Wales, as they do now. The judgement you have made on this LCO will in future enable the Tories to do the same to you. The Measure that you have watered down will mean that any future Measure can get watered down. I'm sure there will be some Welsh Labour MPs reading this who have acted in the way they have out of a genuine regard for principle. They believe that the WASC has a proper constitutional role to play, because it acts as a second chamber to the Assembly in the same way as the Lords acts as a second chamber to the Commons. That's not such a bad argument. Except for one thing: the second chamber at Westminster is not able to veto what the first chamber does. Eventually the Lords must give way to the will of the Commons, and especially on matters that were included in the manifesto it was elected on. This explains the point the Presiding Officer of the Assembly was trying to make, as Vaughan mentioned in his post. His argument may be fair. It may be logical. It may be reasonable. But that argument has just been thrown out of the window. What we are now left with is an LCO process that operates entirely at the whim of the House of Commons. After the next election that will be a Tory House of Commons. So if the penny has now finally dropped, there is only one way to prevent the Tories having full control of any new areas of legislation a future Welsh Government might want to enact. It will not be enough that a clear majority of the people of Wales, through either their elected MPs or AMs, have given the proposed legislation an unequivocal mandate. The Tories will be able to veto it or water it down to the point that it become useless ... and if they can, they will. The only way to prevent that happening is to set in place the referendum on primary lawmaking powers in the seven months or so that Labour still has a majority in the Commons. I had a look at the websites of Labour's leadership contenders this morning. Well, two of them ... I don't think Huw Lewis has a special campaign site, there's no mention of it on his blog. Like everybody else in the Labour Party, I'm proud to be Welsh but also proud to be British. Leaving to one side the matter of pride, this seems to be a perfect illustration of Labour's dwindling appeal. Why on earth does the Labour Party want to confine itself to those who consider themselves to be both Welsh and British? Why not try to be relevant to everybody who lives in Wales, irrespective of the way they choose to describe themselves? I—and I would guess most other people in Plaid—will be laughing all the way to the polling booths. A national identity question was introduced on the Labour Force Survey in 2001. Respondents in Wales were asked if they considered their national identity to be Welsh, English, Scottish, Irish, British or another national identity. They could choose as many or as few options as applied to them. Sixty per cent of adults in Wales stated their national identity as Welsh only. A further 7 per cent described their national identity as Welsh but included another identity, most commonly British, in their answer. 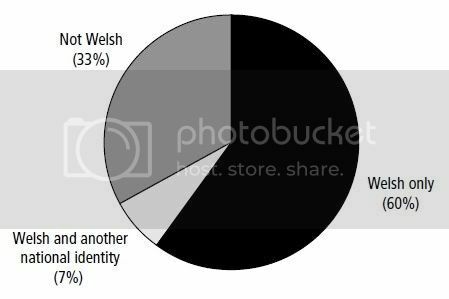 In total, 67 per cent of adults considered their national identity as wholly or partly Welsh. So, at one end of the various survey results, no more than 7% of people in Wales considered themselves to be "Welsh and British". As we can see, only a minority regard themselves as being equally Welsh and British. And, even in this best case scenario, if you add up all those who consider themselves to be both Welsh and British to any extent, the figure only reaches 61%. What party in their right mind would be proud to exclude at least 39% of the electorate? What party could fail to notice the trend? In contrast, Plaid doesn't think in these sorts of terms. Yes, each of us will have our own individual view about whether we are Welsh, British, both ... or even neither. That last category isn't so uncommon, either. I know of a good few people who support Plaid who consider themselves to be English, Irish or Scottish ... and a few Australians, a German and a Dutchman. For me, it's a matter of simple respect ... of letting people describe themselves as they choose to describe themselves ... of wanting to work for everybody who lives in this pleasant corner of the earth we call Wales. Labour, on the other hand, seems determined to make Britishness a central plank of not only its political ideology but, according to Carwyn Jones, its membership.